Mohd Hanif Shaikh, Abdullamiya Yasinmiya Kadri amd two others were sentenced to jail terms varying between 10 years to life imprisonment. 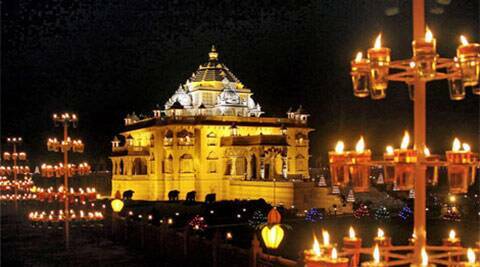 In a major setback to the Gujarat government, the Supreme Court on Friday acquitted all six persons, including two on the death row, in the 2002 Akshardham temple terror attack case. Allowing their appeals against the conviction and sentencing, a bench comprising Justices A K Patnaik and V Gopala Gowda held that the prosecution failed to establish their guilt beyond reasonable doubt and they deserved exoneration from all the charges. The bench nixed their confessional statements being invalid in law and also said that the prosecution could not establish they participated in any conspiracy. It allowed the appeals of Adambhai Sulemanbhai Ajmeri and Abdul Kayum, who were given death penalty, challenging the conviction under POTA and Section 302 of Indian Penal Code. The petitioners had sought to draw parallels between investigations into the alleged fake encounter killing of Sohrabuddin and that of Akshardham terror attack in which both the fidayeen were killed by NSG commandos on September 25, 2002. The appeal by the convicts said they were arrested following investigations conducted by then deputy superintendent of police D G Vanzara, who is facing trial for the fake encounter killing of Sohrabuddin. It alleged that Gujarat government was “notorious for conducting investigations in a totally partial and unjust manner which was evident from another case monitored by the apex court — Sohrabuddin encounter case”. In the Akshardham attack, two fidayeen sprayed bullets indiscriminately from their Ak-56 rifles and used hand grenades to kill 33 devotees and tourists and injured another 86 before being killed by NSG commandos on September 25, 2002. Saying that there was no link between the two fidayeen and the appellants, the petition filed through counsel Anis Suhrawardy stated that his clients had been crying hoarse for an independent probe, especially by CBI, but neither the trial court nor the HC paid any attention to it. The prosecution case alleges that a group of militants, allegedly belonging to the banned Lashkar-e-Taiba attacked the temple in Ahmedabad on September 24, 2002, killing 37 people and injuring several others. The special POTA court found the appellants guilty and slapped death and other sentences on them. The High Court confirmed this order. The appellants said the investigation was faulty as the investigating officer had no jurisdiction to investigate the case. The very foundation of fair trial contained under Article 21 of the Constitution was thrown to the winds by not even following the bare minimum requirements of natural justice, the convicts have contended. As many as 14 witnesses were examined without disclosing to the accused their identity. They sought to quash the impugned judgment and an interim stay of its operation.